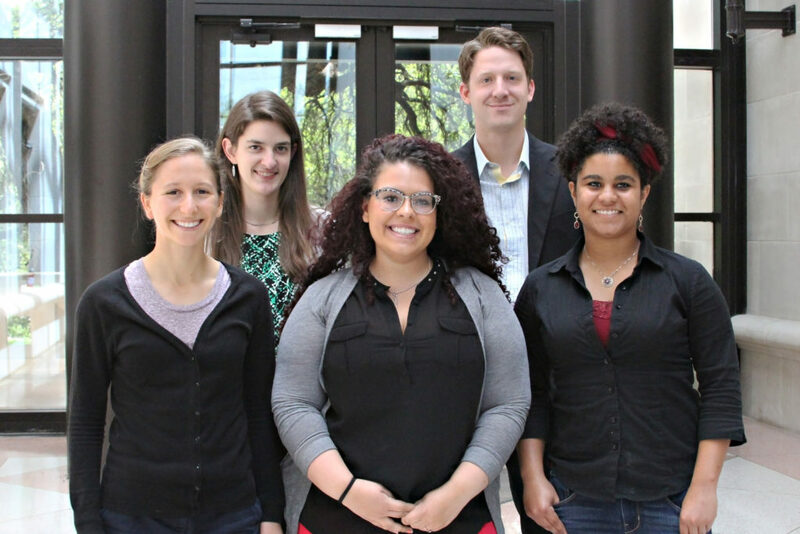 Six students have been selected as the 2015 Whitehurst Public Interest Summer Fellows. The $4,250 fellowships are awarded annually to outstanding students who are committed to public service to support their summer public interest work, and are made possible by a gift from Bill, ‘70, and Stephanie Whitehurst. Paige Duggins ’17, has been awarded the Justice J. Woodfin (Woodie) Jones Public Interest Law Fellowship to support her summer work with the Texas Civil Rights Project in Austin. Leah Glowacki ’16, has been awarded the Judge W. Jeanne Meurer Public Interest Law Fellowship to support her summer work with Texas RioGrande Legal Aid in Austin. Rhiannon Hamam ’16, has been awarded the Justice Diane Henson Public Interest Law Fellowship to support her summer work with the Capital Area Private Defender Service in Austin. Christopher Lamoureux ’16, has been awarded the Judge Margaret A. Cooper Public Interest Law Fellowship to support his summer work with the Equal Justice Center in Austin. Alex Stamm ’17, has been awarded the Judge John Dietz Public Interest Law Fellowship to support his summer work with Texas RioGrande Legal Aid in San Antonio. Corinne Waite ’17, has been awarded the Judge Suzanne Covington Public Interest Law Fellowship to support her summer work with SafePlace in Austin.